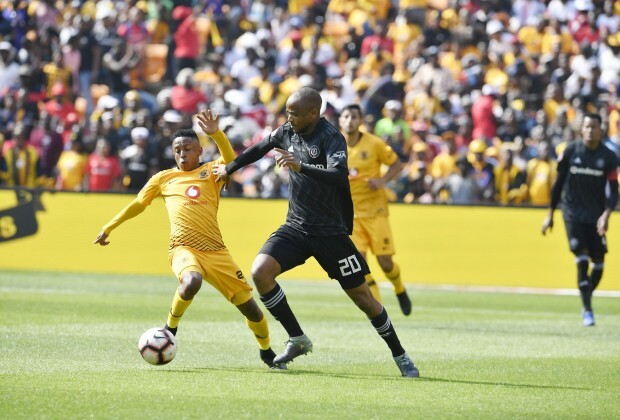 Kaizer Chiefs and Orlando Pirates were forced to settle for a point each after playing to a 1-1 draw at the FNB Stadium on Saturday, writes DYLAN APPOLIS. Ernst Middendorp’s side came into this encounter looking to bounce back, following their narrow 1-0 defeat to Cape Town City at the FNB Stadium which saw them drop to sixth in the league standings. Meanwhile, Milutin Sredojevic’s men were forced to settle for a 1-1 draw against Baroka in the last PSL game, and currently occupy third place on the league table. The last tine the two sides met the Buccaneers claimed bragging rights after securing a 2-1 victory over Amakhosi at the FNB Stadium on 27 October 2018. Pirates keeper Wayne Sandilands came to his side’s rescue moments later when he denied Bernard Parker’s strike from distance. Justin Shonga had a golden opportunity to hand Pirates the lead on the half-hour mark, but he was unable to connect with Vincent Pule’s inviting cross into the area. The game went into the half-time interval with the scoreline locked at 0-0. The home side were then awarded a early in the second half. Daniel Cardoso stepped up and made no mistake from the spot-kick. Amakhosi had the chance to double their lead when Parker picked out Khama Billiat, but the Chiefs attacker couldn’t quite put it into the net under pressure from Sandilands as he fired his effort off target. Pule had an opportunity to shoot from inside the box in the 65th minute, but badly miscued his effort. The Buccaneers’ shooting in this game left a lot to be desired. Daniel Akpeyi came to his side’s rescue in the 76th minute when he made a great save to deny Augustine Mulenga. However, Pirates levelled matters three minutes later when Lorch rounded the keeper to find the net. Both sides pressed forward in search of a winning goal in the closing stages as the sides were forced to settle for a point each at the FNB Stadium.